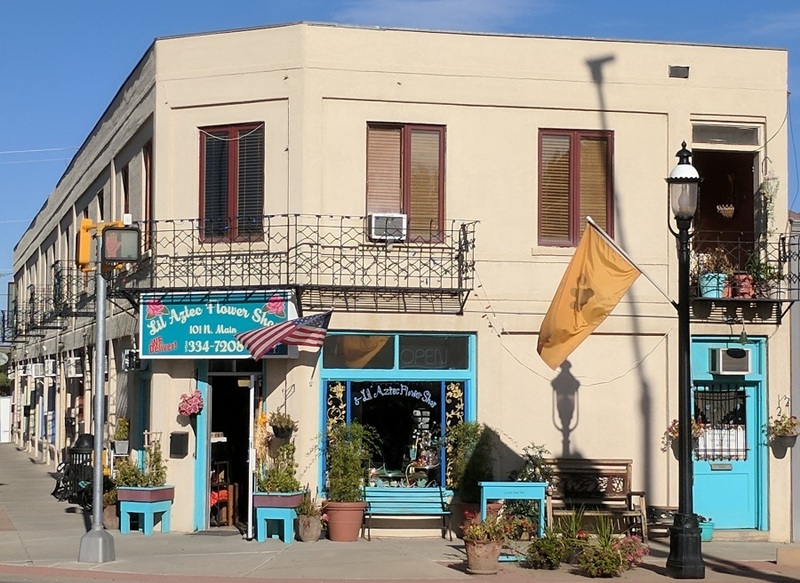 Aztec's Main Avenue was designated as a Historic District by the state in 1982 and added to the National Register in 1985. Information on the Historic properties was copied from the Historic Aztec Self-Guided Walking and Biking Tours brochure published by the Aztec Museum Association. 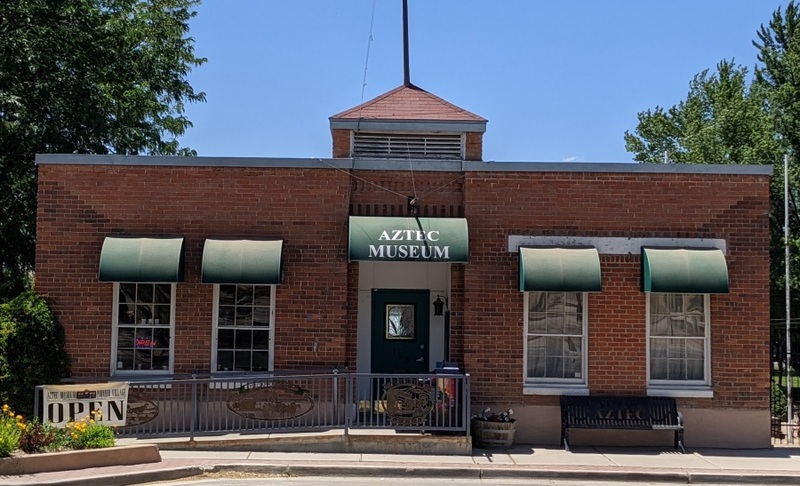 Learn more about the Aztec Museum and Pioneer Village at aztecmuseum.org. ### = Buildings on the Historic Aztec Self-Guided Walking and Biking Tours brochure. 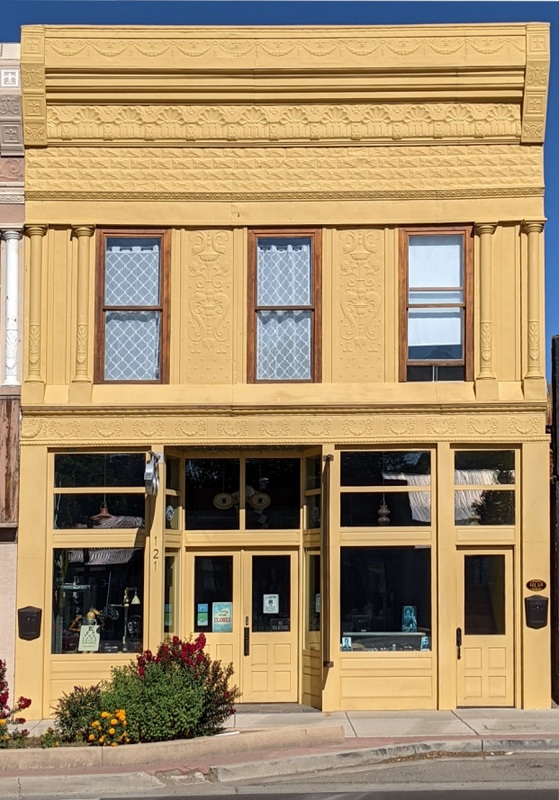 Built in 1910, this building was operated by D.C. Ball & Son as a dry goods store. It features brick walls covered with a more recent stucco and stone facade. 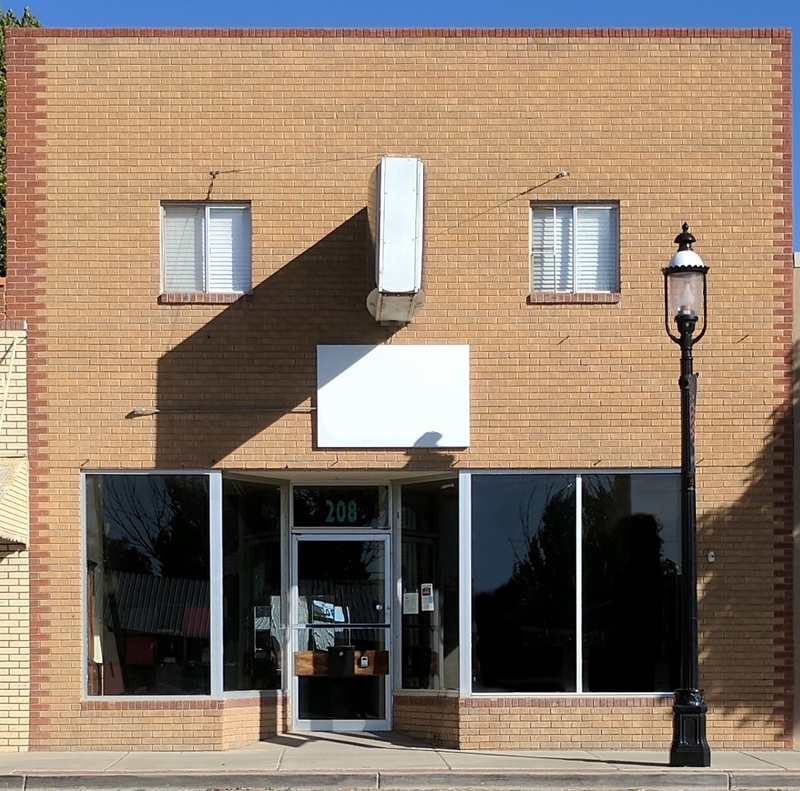 In recent years this building served as a real estate office. 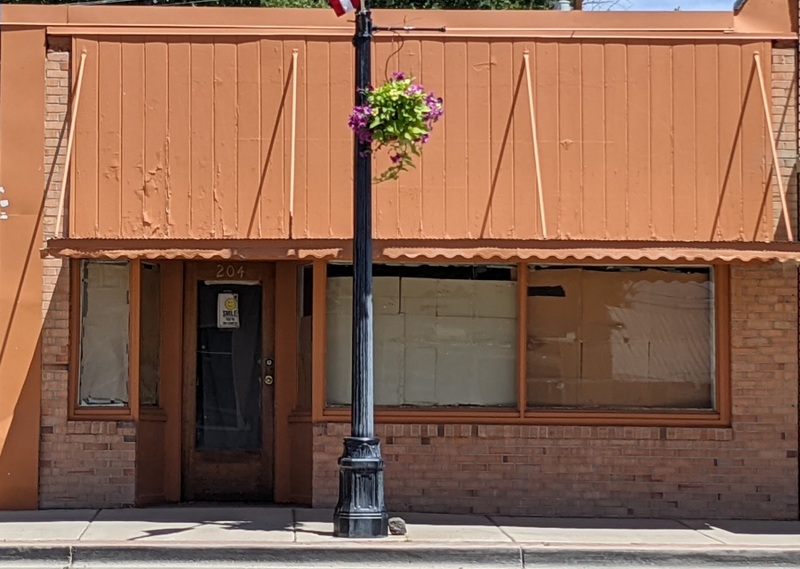 The building is currently for sale. 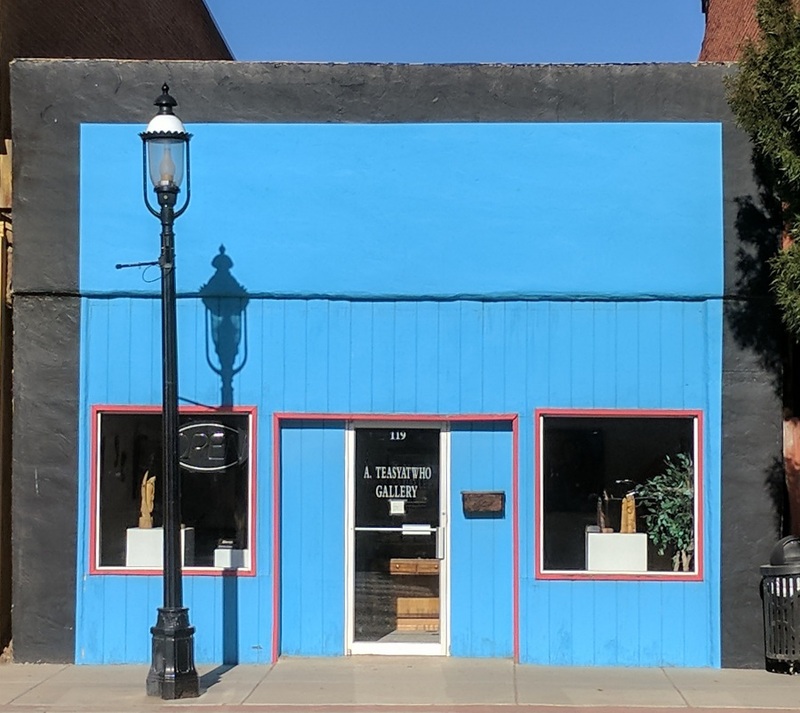 Numerous businesses occupy the building along the side on Chaco St. At the corner and on Main Avenue is the Lil' Aztec Flower Shop. 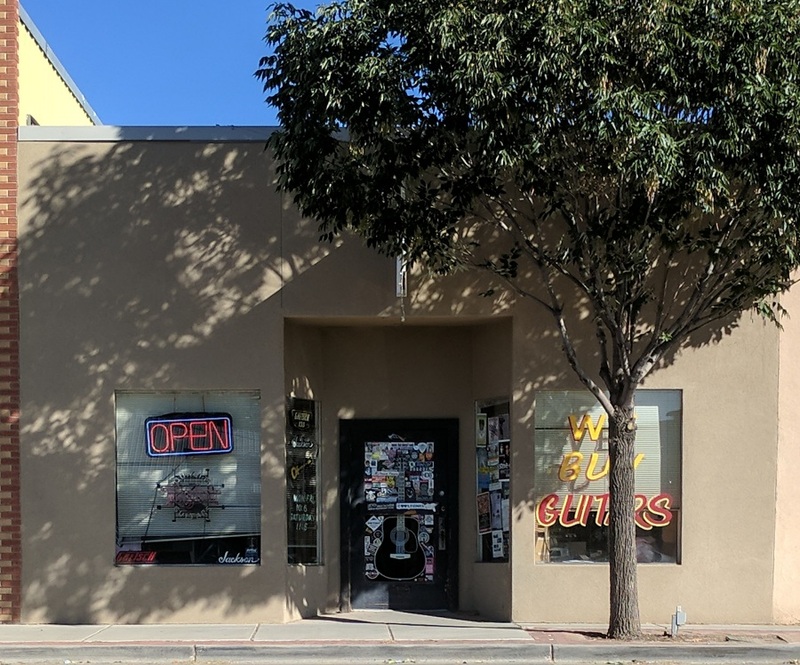 Tucked between the Aztec Theater and the building on the corner is one of the most popular spots in Aztec for nearly a quarter of a century. Two brothers, Clare and Tom Uptegrove built here in 1913, and with their wives, Ora and Lela, operated a bakery and confectionery for years. 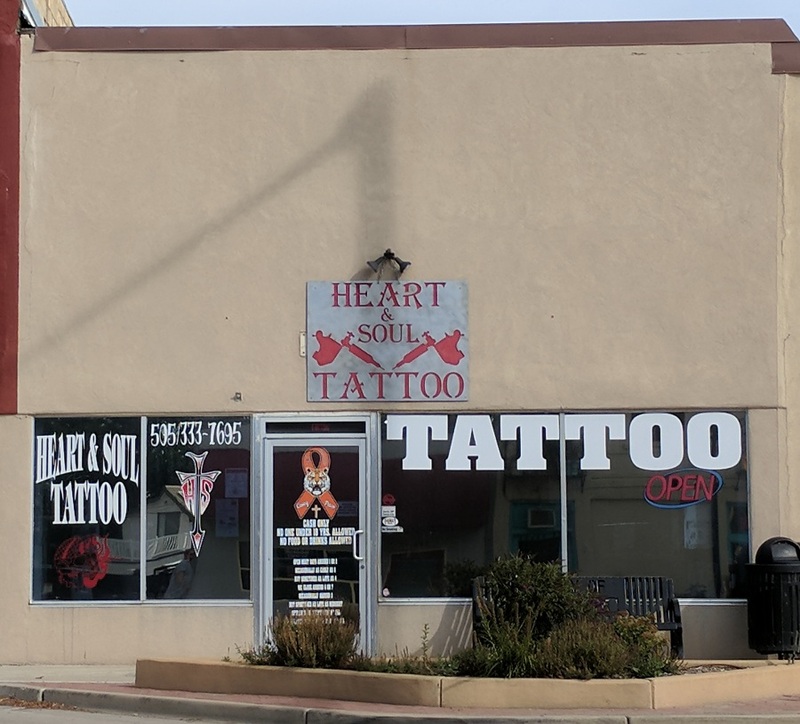 The building now houses the Heart & Soul Tattoo business. 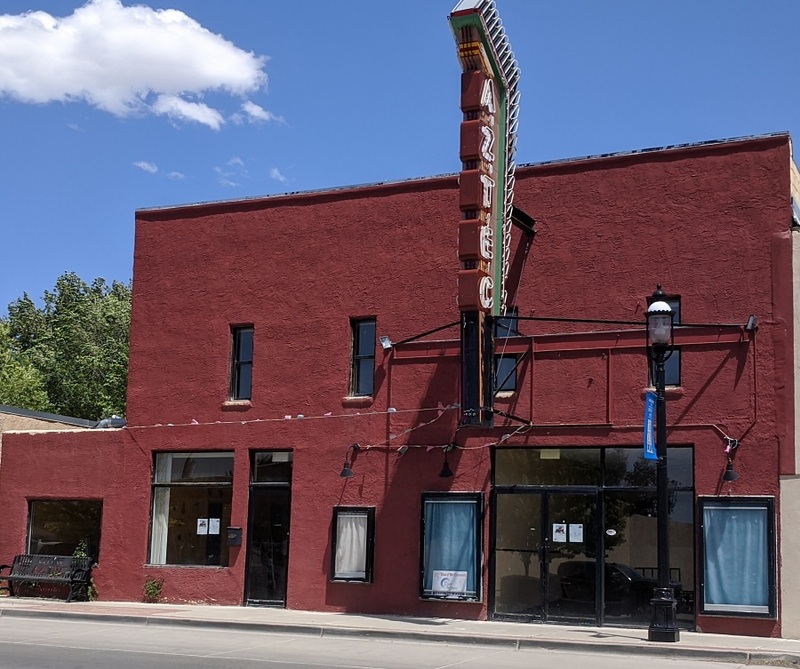 Built in 1927 by J. Oscar Manning as the Mayan Theater, and later renamed Aztec Theater, this building has long been an important source of entertainment for San Juan County residents. 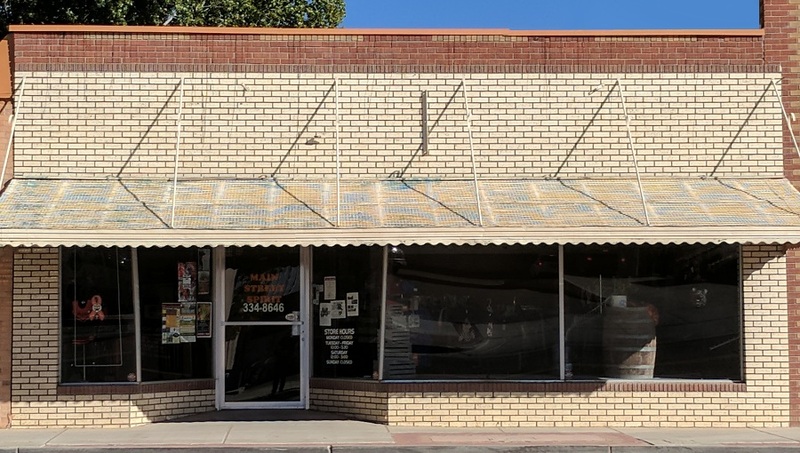 The theater is now operated by Crash Music who holds various music concerts and venues on a monthly basis and provides lessons, workshops, and classes on various musical instruments. 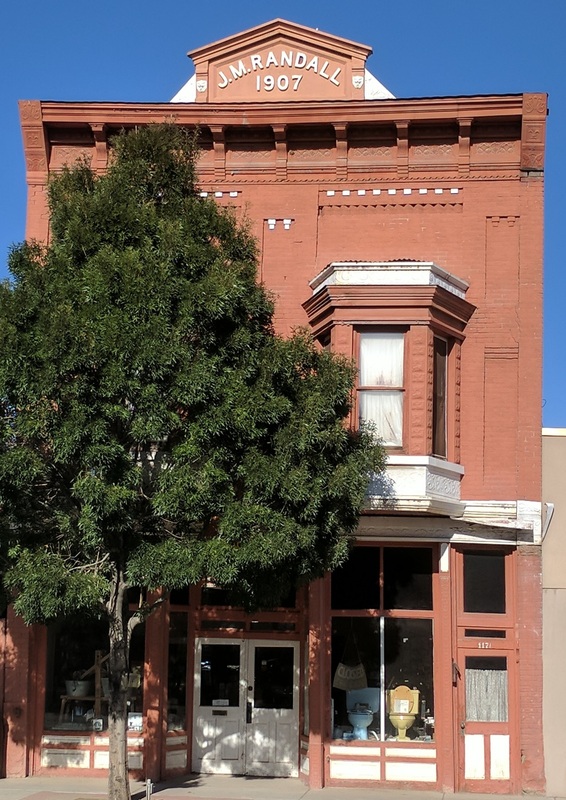 J. M. Palmer, one of Aztec's first attorneys, had his office in this building in the 1890s. 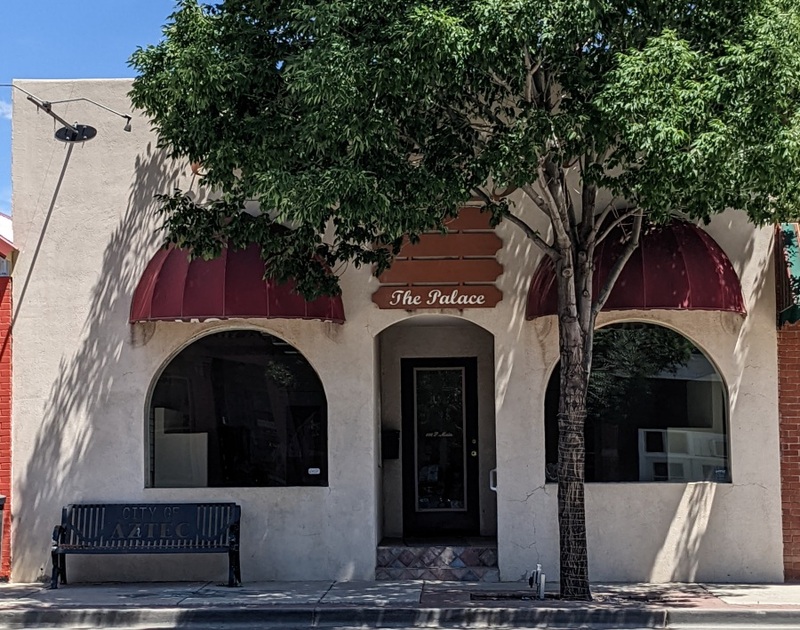 Circa 1912, it was occupied by Aztec's second newspaper, The Democrat, and in the 1930s by Mr. Palmer's son, Attorney J. Murray Palmer. It has stucco over the original adobe. The building is currently unoccuppied. 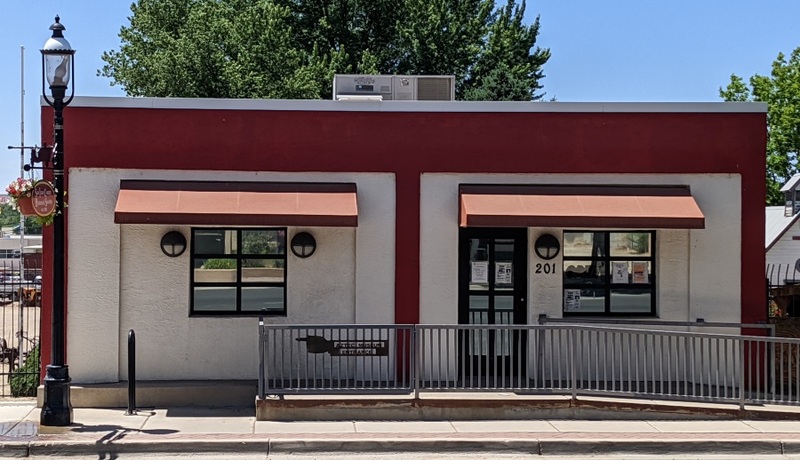 One of Aztec's first buildings began life here as a one-story adobe building. By 1890 it was owned by James William Jarvis who was born in England in 1798 and died in 1903, having lived across three centuries. In 1894, his daughter-in-law, Mrs. George (Ingo Mary) Jarvis ran a restaurant here. The house was remodeled and a second story was added in 1906. The house now functions as offices for Ramsey Realty and Reliable Escrow Services. Built in 1940, this building functioned as the Aztec City Hall. 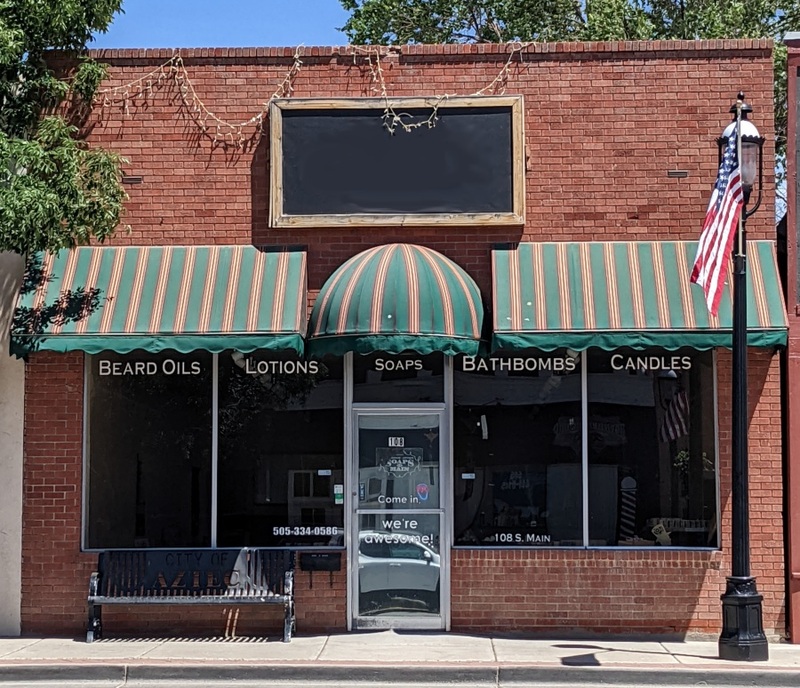 City business was conducted here through the World War II era and during the oil and gas boom of the 1950s. The building now serves as the Aztec Museum. The original doors were at street level and swung open for fire trucks to make a fast exit. The firemen were all community-minded volunteers. When a fire alarm sounded, it wasn't uncommon to see half-dressed men running down Main Avenue toward the firehouse, pulling on trousers and shirts. 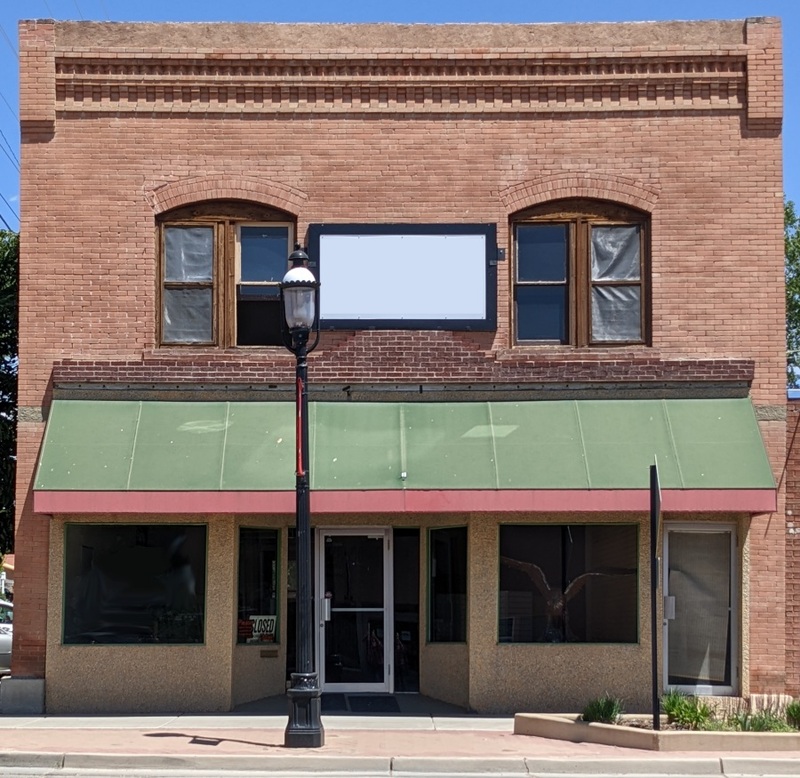 The building now serves as the office for the San Juan County Historical Society and repository for their vast collection of historic photos and documents. 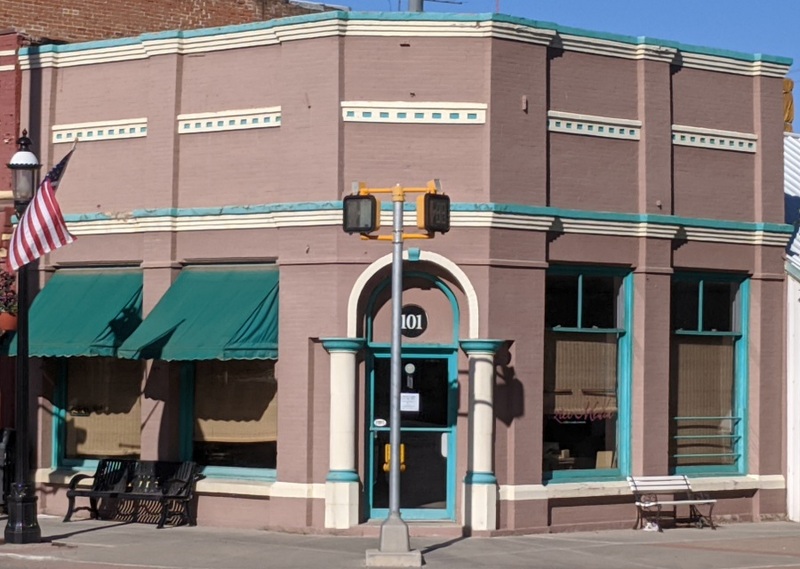 One of the oldest buildings in Aztec, by 1890 it housed a general merchandise store operated by Civil War veteran Col. W. H. Williams. 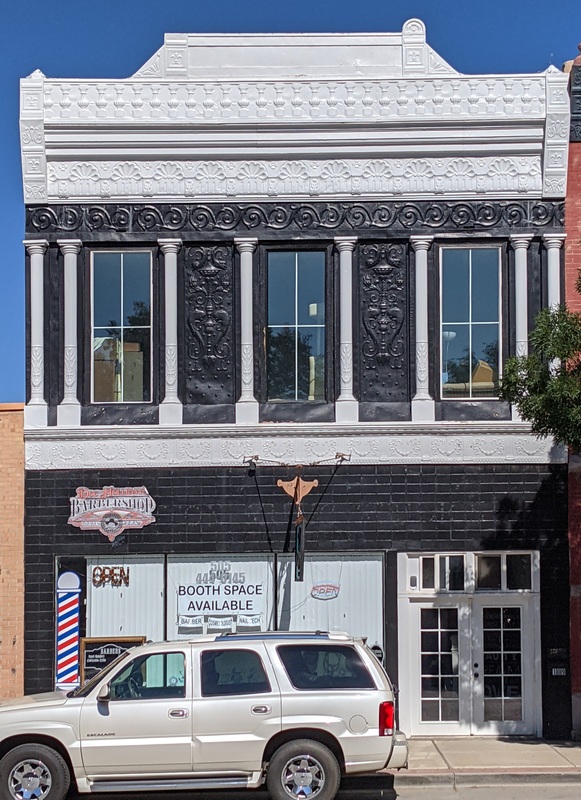 The building was made of adobe, then faced with brick in 1919 to house the Aztec State Bank. Col. Williams was a member of the Aztec Town Company. The building now serves as the business location for Aztec Media. Built in 1910 by Edmund C. (Ted) Waring, a jeweler and watchmaker. The building was sold in 1933 to Clyde C. Hubbard who operated a grocery store. 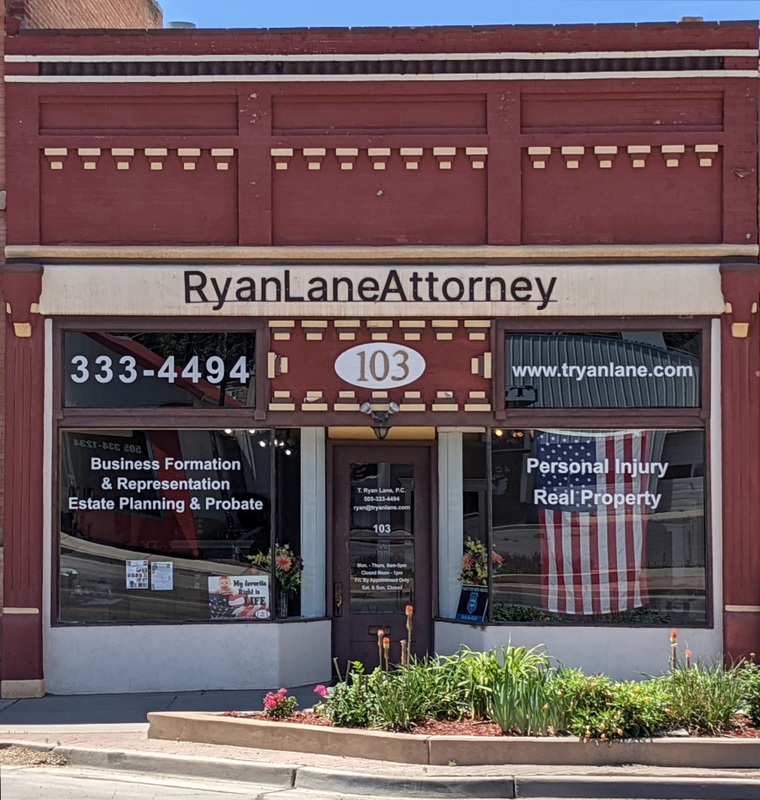 The building now functions as the Law Office of T. Ryan Lane. T. A. Pierce moved to Aztec in 1903 and brought a safe with him, qualifying him to begin the first "bank". 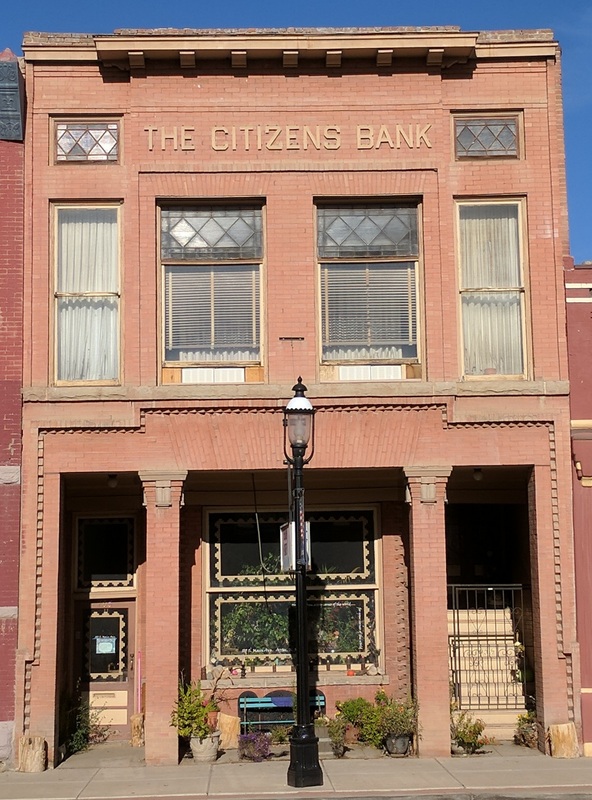 He built the Citizens Bank by 1910. Law offices were on the second floor. A portion of the original interior is reconstructed in the Pioneer Village. Odd Fellows Lodge members built this structure in 1903 and have occupied the upper floor ever since. 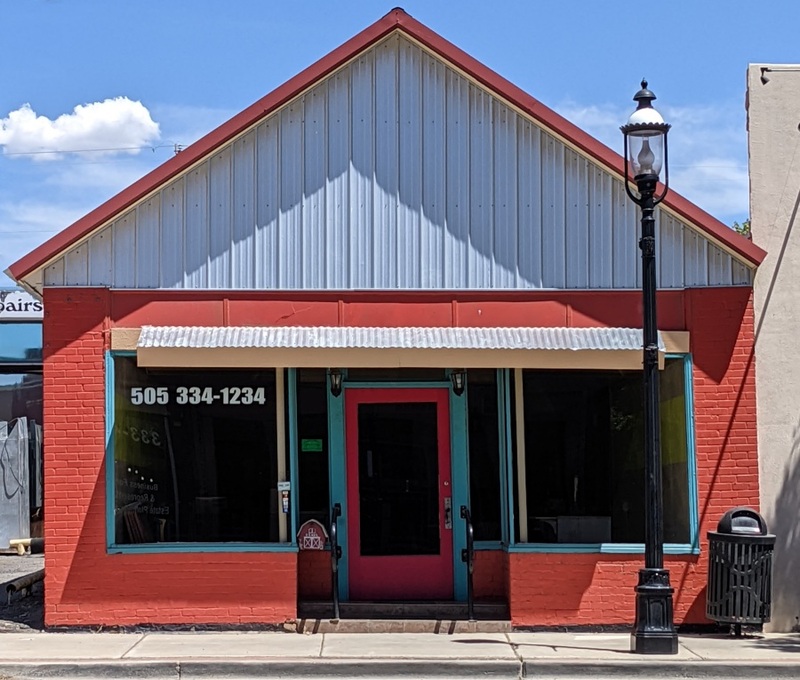 The lower floor was first occupied by the San Juan Stores Company, Joe Prewitt, agent, dealers in General Merchandise. The first floor now houses Feat of Clay which is an artisan co-op. Built by Fred W. Townsend to replace a one-story structure destroyed by fire in 1910. Mr. Townsend operated a meat market on the lower floor and the family lived on the upper floor. The building is now home to Boston Music Studios. J. M. Randall first built a frame building here in 1900. Randall, one of the city's leading merchants, operated a dry goods store. In 1907, he built around the frame building adding living quarters on the second floor. One-story brick building, built in 1906 by A. M. Hubbard for his meat market. 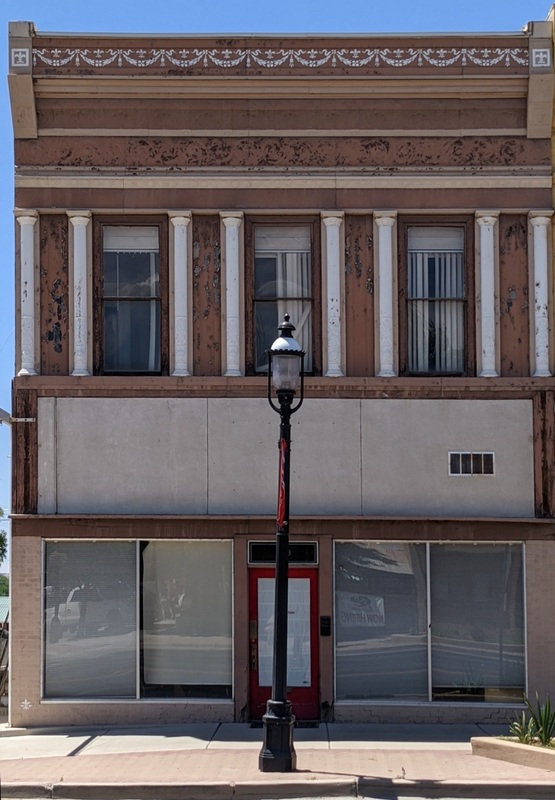 In later years, J. W. Dial operated Aztec's first funeral parlor here. 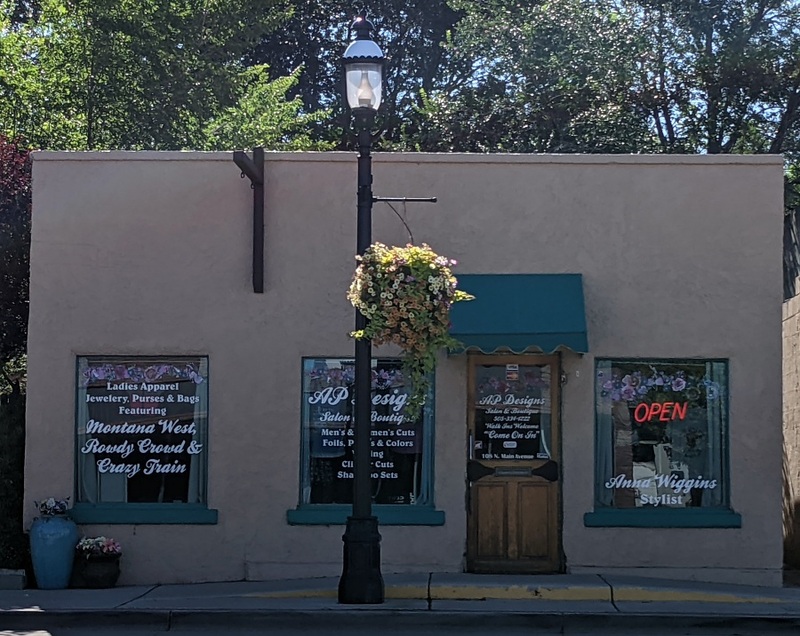 Succeeding uses were a restaurant, a saloon, and a variety store. The building is now home to the Teasyatwho Gallery. 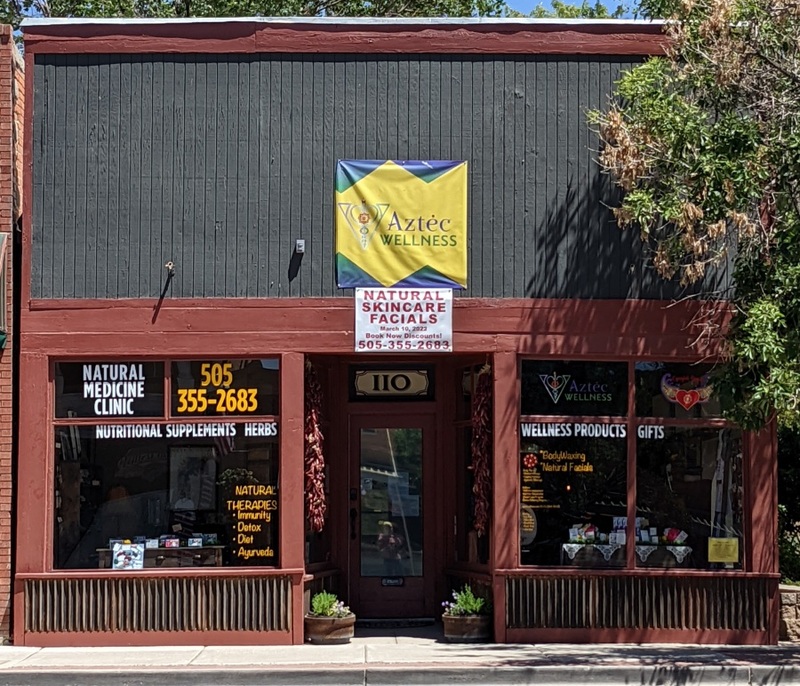 Dr. M. D. Taylor was practicing in Aztec and expanded his enterprise with this building in 1908. He opened a drug store on the first floor and saw patients upstairs. In 1919, he was elected to serve as a delegate to the Constitutional Convention working for statehood. 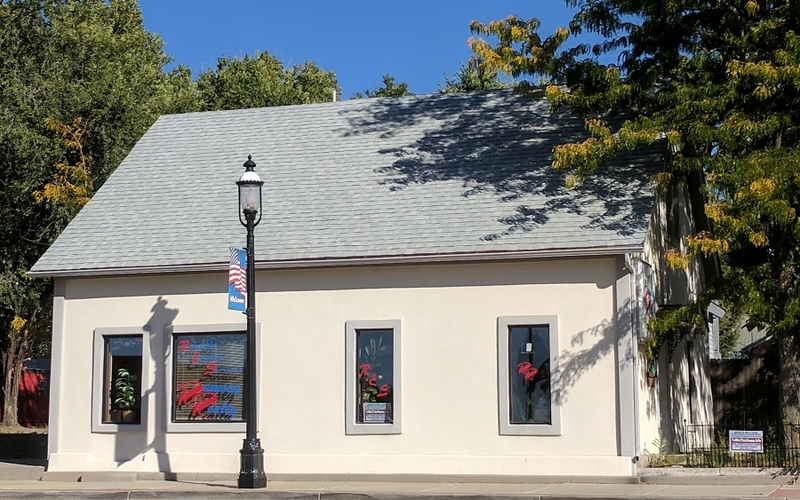 The building just recently underwent interior and exterior rennovations and now houses an Optometrist office. Built approximately in 1908 by Samuel O. Pinkstaff, a member of Aztec's first Town Board. First occupants were C. S. Bailey and Sherman Howe, who ran a dry goods store. The local chapter office of the American Red Cross is now located in this building. 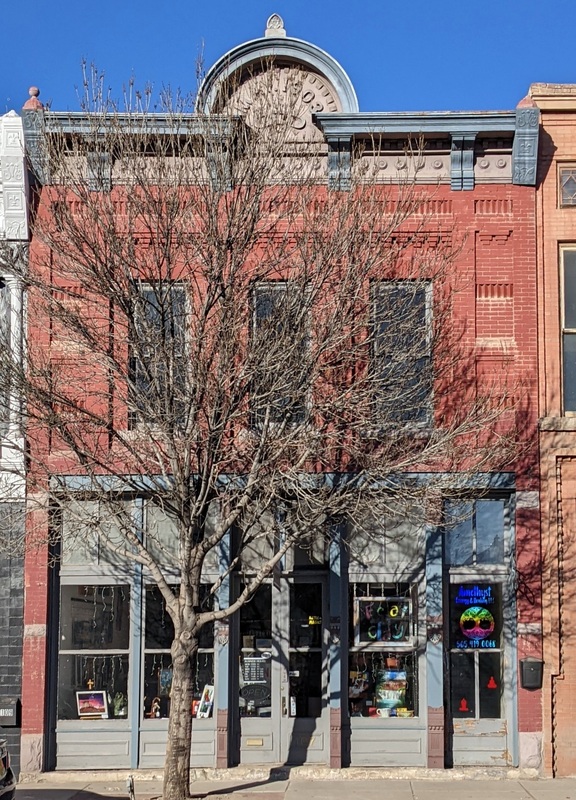 Established sometime before 1925, C. G. Brewer and his son, Truman, built a combination business building/living quarters on this corner. Their previous home located between Bloomfield and Blanco was destroyed by high waters of the San Juan River. They salvaged the bricks for this new structure. It functioned as a hardware store for the first half century. Note the stepped parapet. 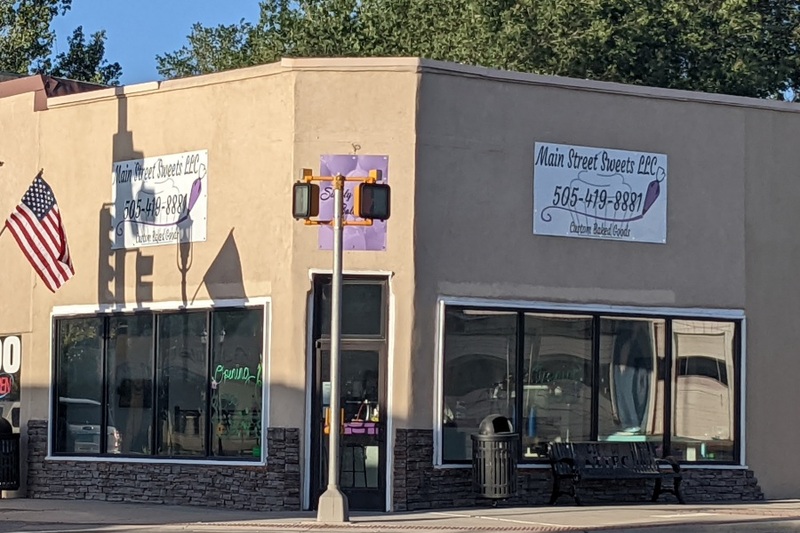 The building now houses a Chiropractic office on Main Avenue and residential quarters behind. Walker and Frank McClure built a livery stable and feed store at this location in the early 1900s. Later it was occupied by The Index, a newspaper published by C. S. Bailey, and for a brief time in 1919 by The Empress Theater. In 1926, Carl Neitzel bought the building, built an addition on the south side and established a Chevrolet dealership. 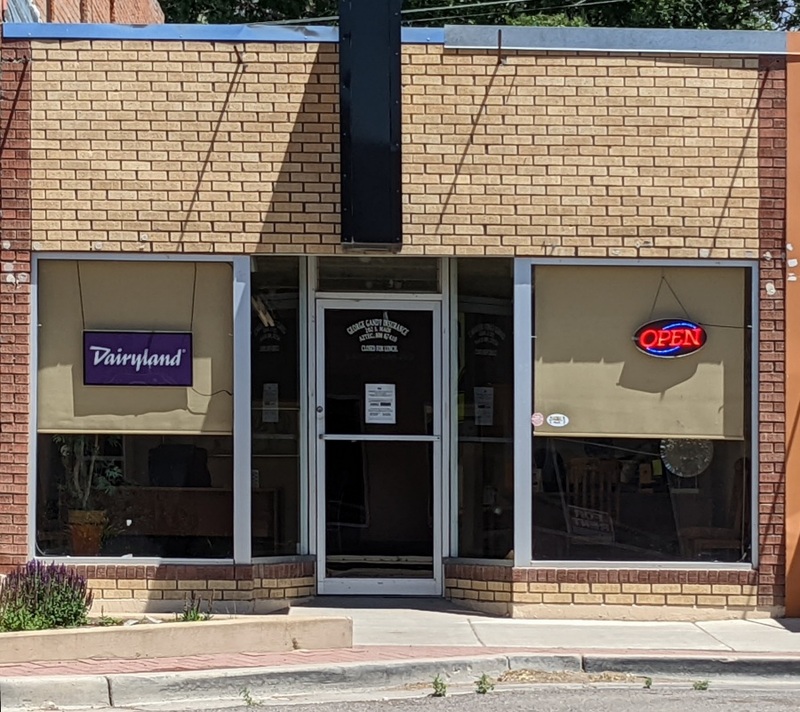 The building now operates as Poppin' Tags Thrift Store. 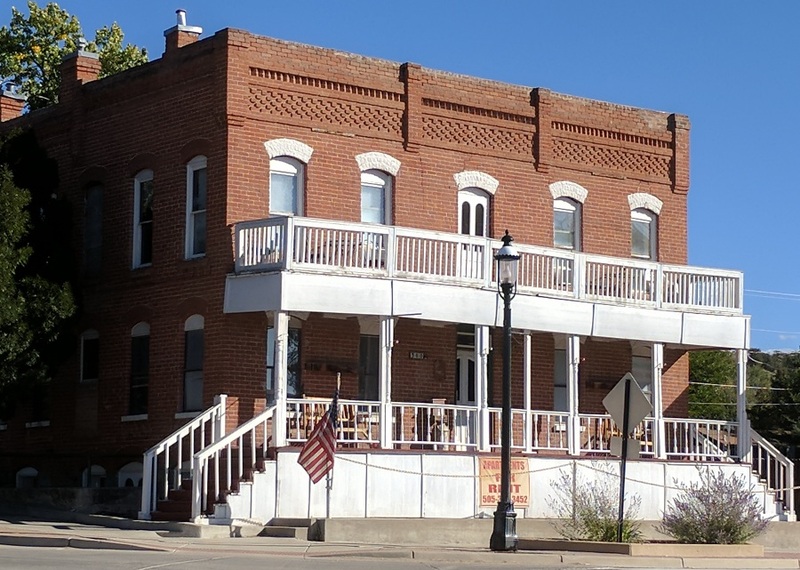 This two-story brick building was built in 1906 was first owned by N.M. Engleman and later by J.M. Thomas who operated a general merchandise store. Upper rooms were offices and short-term living quarters. Mr. Thomas added scales in the street in front of the store for the use of draymen, coal haulers, and grain dealers. Aztec Feed and Suppply store was built in 1913 and originally functioned as a Buick agency garage. The garage was owned by J.S. Hartman, John B. Austin, and Oren Randall. Austin and Randall were both mechanics. It was later owned by Carl Neitzel and was partially destroyed by fire in 1926. Smoke stained bricks can still be seen in the warehouse of the feed store. The American hotel held its grand opening in March 1907. The one-story attachment at the rear served as the dining room, kitchen and laundry room. The hotel was acclaimed for its excellent meals. Note the segmented arches of the windows, some still having original glass. The arrival of the railroad in 1905 stimulated trade and commerce, creating a demand for accommodations for increasing numbers of travelers. Guests were met at the train station and transported to the American Hotel by a horse drawn buggy, the Red Apple Flyer Taxi. The hotel's comfortable porch heard news of the world exchanged, and saw business deals being made.